Today I read about director Amir Bar-Lev's documentary looking at what he alleges is a coverup of the truth surrounding the death of Pat Tillman, an NFL star who quit his professional football career to serve his country as a soldier. In 2004, he died in a "friendly fire" incident - but that was not the initial report, thus the headline The Tillman Story is a scathing indictment of the US government. The TV show Seinfeld had a funny shtick about a restaurant that served a really tasty mulligatawny. If, however, a customer didn't approach the server appropriately, the head chef might yell "No soup for you!" and refuse to sell. 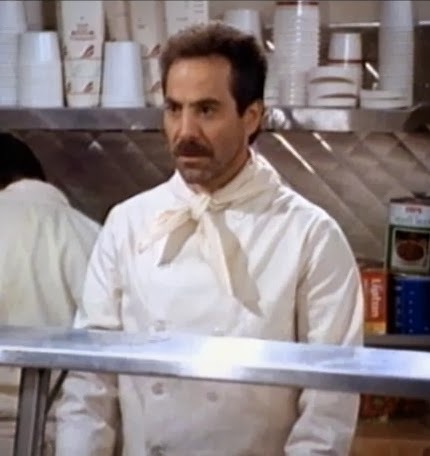 In fact, depending on the severity of the offense, the "soup Nazi" (as the chef came to be known) might issue bans up to a year in duration! How could this happen in America, the land of the free? Surely I'm free to approach the counter any way I want, right? In another episode, the character Elaine went to a Yankees baseball home game up in the Bronx wearing a Baltimore Orioles cap. A fan took exception and demanded she remove the hat. She said "No, this is America, it's a free country!" Back in the real world, recently President Obama declared his opinion that an Islamic group had the right to build a mosque near the site of "Ground Zero" where the World Trade Center towers once stood, saying ""This is America, and our commitment to religious freedom must be unshakable." I, myself, would tend to theoretically agree with that statement...but then I'm conflicted since I have difficulty when, in the name of freedom, the Confederate Flag - with all it symbolizes for both its proponents and opponents - is flown from a state capitol building. Owen Smith, 25, and Wendell Damian Cuff, 25, were charged with the first-degree murder of Abdikarim Ahmed Abdikarim. The Crown, citing insufficient evidence to pass a preliminary hearing, dropped the charges. The victim's family are further pained by the continued suffering in such a sad, terrible loss. I have two kids, and I wouldn't dare presume to know what this must be like for them. Raising a child to end up the victim of a murder - and an as yet unsolved murder at that - is beyond grasp. The cops are disappointed, thinking they had gathered sufficient evidence that a case was worth putting before a jury. The public is outraged. Another bad guy gets away, it appears. Yet, as painful as it is for all, dropping the charges was still right. …Experts have many theories, but no clear answers, about why national progress on closing the gap has slowed. They included worsening economic conditions for poor families and an increase in fatherless black households, social factors that interfere with students’ educational progress. "Worsening economic conditions for poor families" is misleading, since there are poor white families, too. And "fatherless black households", which certainly is a factor, is still but a symptom of a range of issues beyond the control of the black household - but that argument is beyond the scope of this post. It might appear we're trapped in a vicious circle - we're doing poorly in school, so we can't raise our socio-economic profile, and as our profile diminishes, we do increasingly poorly in school. 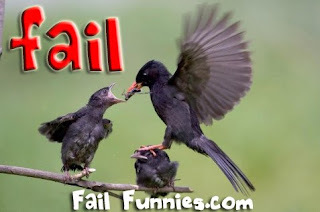 Which comes first, the chicken of better socio-economic circumstances or the egg of doing better in school? It is impossible to change society in one action, but the OughtThought here is that it is possible for an individual to change one's outlook, and I think StudyRite can help. 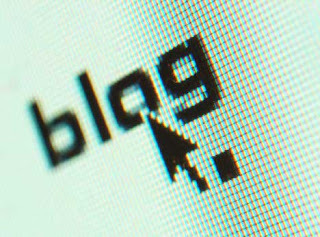 There are plenty of "is blogging dead?" discussions floating around out there. I've read through some of the arguments either way and think there's a context that's missing in the discussion. For the record, I'm of the opinion that blogging is not only alive, and well, but is both necessary and in no ways threatened by other social or microblogging alternatives which really do not compete in the same space at all, if people slow down and think about it.